Hong-Kong? No, it is Monaco seen from the hills. Monaco is commonly considered one of the top sites of the French Riviera, but in fact Monaco is an independent principality. 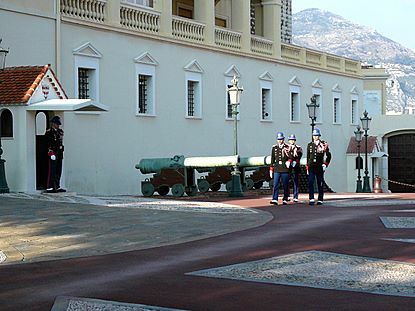 The Principality of Monaco is a city-state enclave in the french territory. Monaco is located along the Mediterranean Sea and French Riviera, some twenty kilometres east of Nice. The municipality of Monaco occupies the same area than the State itself. Monaco is independent since ... 1297. It is a constitutional monarchy headed since 2005 by the Sovereign Prince Albert II of Monaco. The Grimaldi dynasty is one of the oldest reigning dynasties in the World. They are at the head of Monaco since its independence in 1297. Monaco covers an area of 2 square kilometers barely. This is the second smallest independent state in the world after the Vatican. Monaco has just over 32 000 inhabitants making it the most densely populated state in the world. 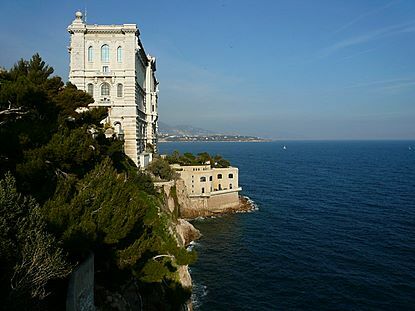 Almost entirely urbanized, the Principality of Monaco enjoys a mild Mediterranean climate. Thanks to major attractions (Casino de Monte-Carlo, Oceanographic Museum, Prince's Palace) and several international sporting events, Monaco is also a popular destination for tourists. There are many luxury hotel facilities in Monaco. 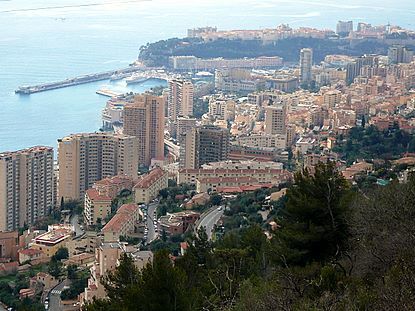 The Principality of Monaco is accessible by the European motorway network linking Monaco to the whole of Europe. The international airport Nice Cote-d'Azur is just 30 minutes away by car thanks to the direct junction via the motorway A8. Shuttles by helicopter also link with the Nice Côte d'Azur airport every 20 minutes. The underground train station of Monaco, opened in 1999. It is situated on the railway line Marseilles-Ventimiglia. An average number of 5 000 passengers per day in winter and up to nearly 10000 in the summer are using the train station of Monaco. 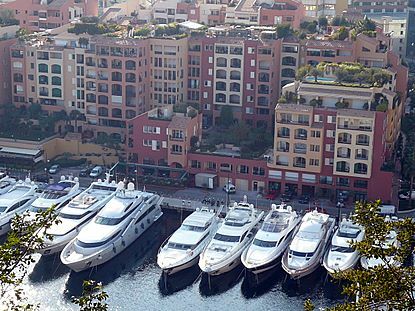 Considered as a modern maritime city, Monaco has two marina harbours equipped to accommodate vessels of various sizes: the Port Hercule and the Port of Fontvieille.